It has been many years since Bar Sirocco was previously reviewed so it was high time that I pay it another visit. I could tell simply by visiting their Facebook page that this is still one very dog-friendly café. All expectations were met. Big or small, fluffy or trimmed, all manner of canine are welcome. The waitstaff are as friendly to humans as they are to the four-legged variety. I am happy to give the Service five stars as it was friendly and impeccable throughout my breakfast. 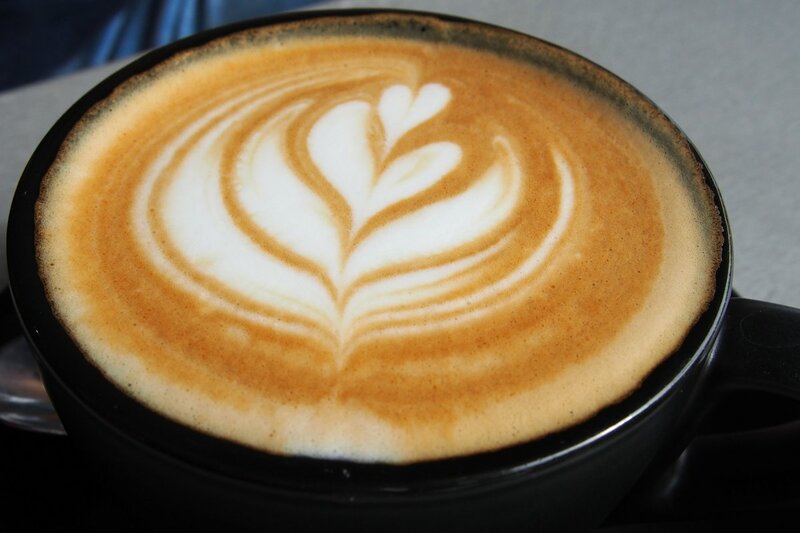 Full bodied and strong in flavour, this cup of Caffe Diemme coffee ($3.50) was one of my favourites in recent weeks. T2 teas ($3.50) are also available as both loose leaf and herbal loose leaf. Coffee frappe blended with ice and vanilla ice cream is $6.50. The juice ($5.50) is freshly squeezed which is what I always like to see on breakfast menus. 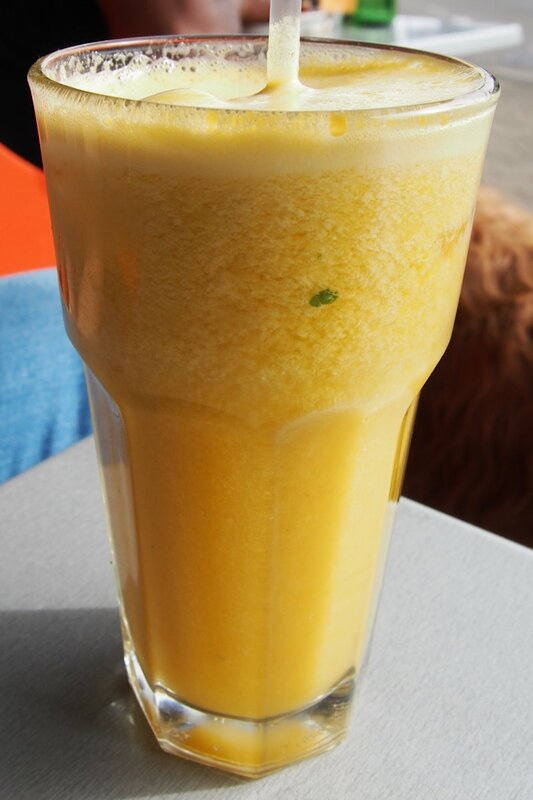 Orange, apple, carrot, pineapple, celery, mint and ginger are available for you to mix and combine. Also available is a pineapple, apple & mint whip and a raspberry & blueberry crush (both dairy free, $6.50 each). My banana & honey smoothie ($6.50) was on the mark. It could have done with some additional banana but overall I was satisfied. The other two flavours are strawberry & vanilla and triple berry. You’ll have a tough choice deciding! 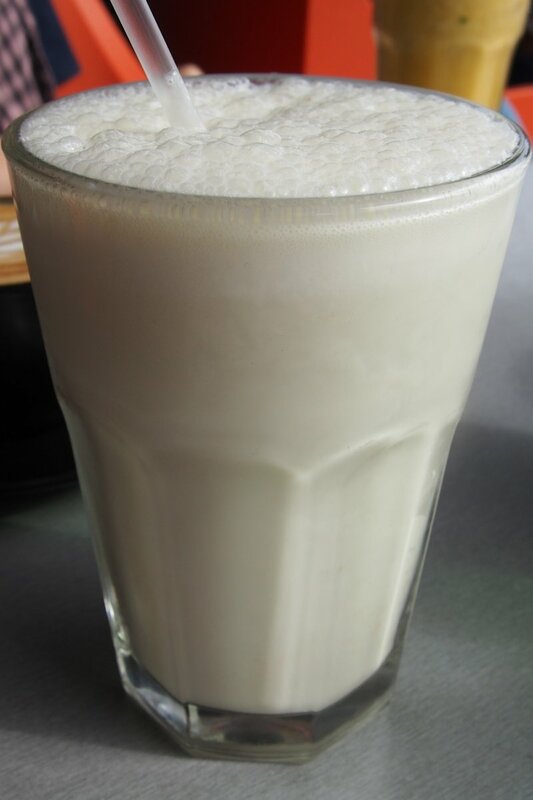 Milkshakes are $5.50 and come as chocolate, strawberry, vanilla, banana or caramel. My guest chose the goats cheese omelette ($15.50) which I took the opportunity to add a variety of sides to. We requested them on their own plate and Bar Sirocco obliged. 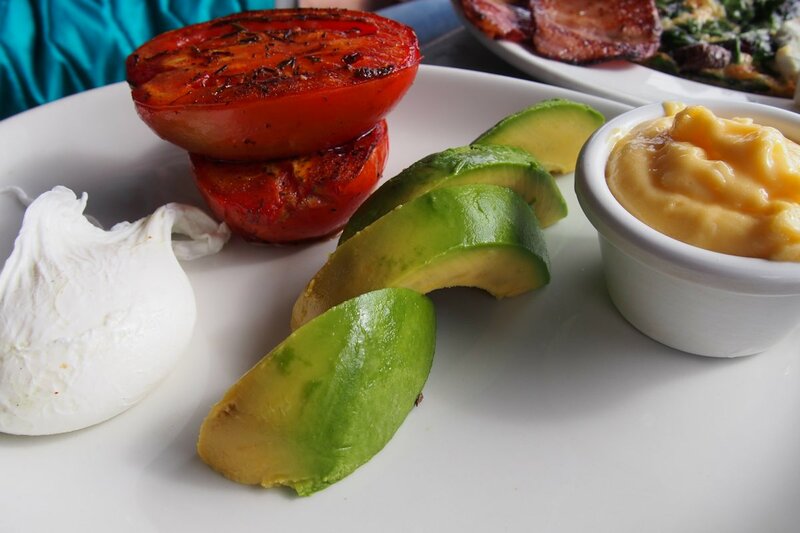 The sides (grilled Roma tomato $3.50, poached egg $2.50, avocado $4, hollandaise sauce $2.50) were fresh and prepared well but unfortunately the hollandaise had been cooked for too long and was missing a smooth consistency. 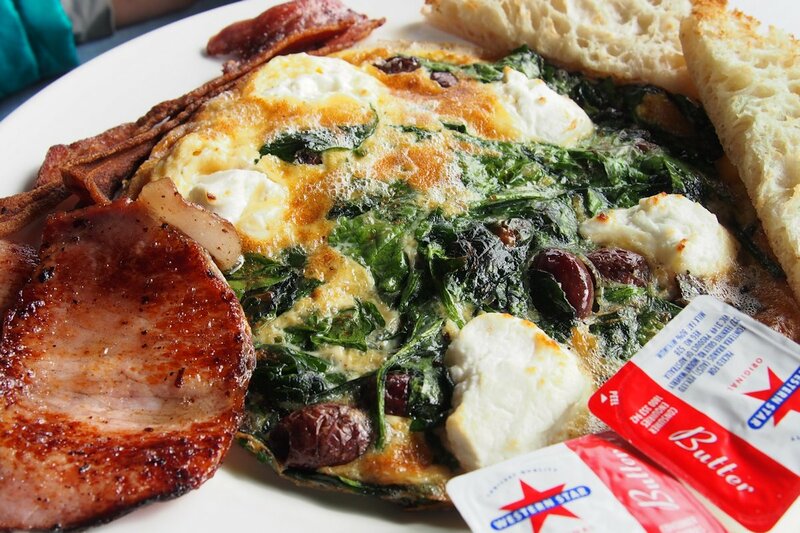 The omelette definitely received its fair share of goats cheese and spinach with plenty of kalamata olives thrown into the mix too. The flavours worked well, it was only the dryness of the goats cheese which left a strange mouth-feel. 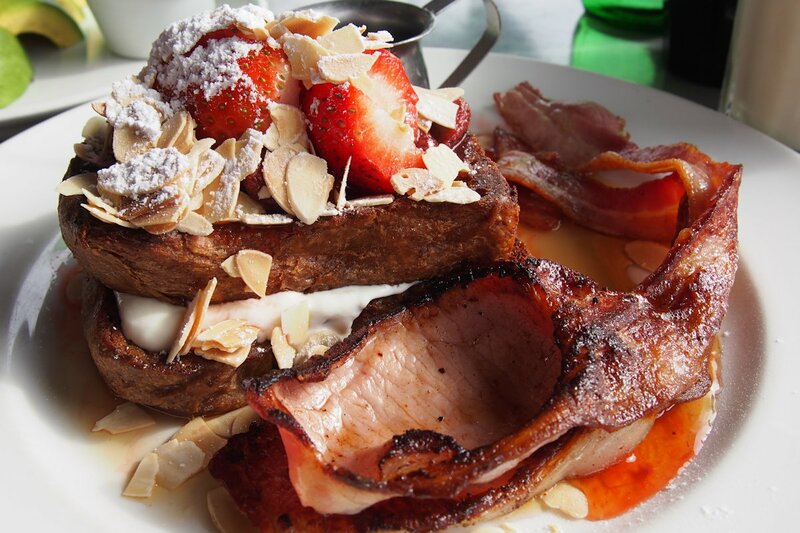 The cinnamon French toast ($14.50) was delectable. Thick but very soft, the toast was reminiscent of banana bread in consistency. Sandwiched in between was a layer of yoghurt. All of this was topped with fresh as well as compote strawberries (the latter of which were extremely sweet and one of my favourite elements of the dish). Add some almonds for crunch and some bacon on the side ($3.50) and this became the dish that I’d recommend as a must-order at Bar Sirocco! The menu is strewn with more superb-sounding meals. Sweet corn fritter, two bacon rashers, avocado, grilled Roma tomato, sour cream, tomato relish & caramel balsamic ($16), chorizo sausage and potato omelette with caramelised onion, spinach and Turkish toast ($16) and the breakfast roll or bacon and egg roll ($9 each), the former of which has tomato and relish instead of tomato sauce or BBQ sauce. 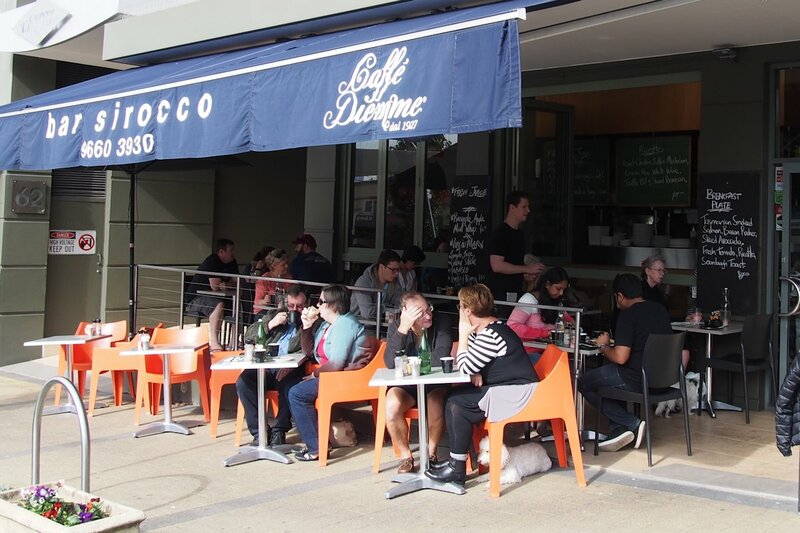 Bar Sirocco is a sun-bathed café with plenty of seating options and a welcoming atmosphere. The kitchen showed some flair and best of all, the service is impeccable. This entry was posted in Sydney - Inner West and tagged Disabled access, Dog friendly, Fresh fruit and vegetable stores close by, Outdoor seating, Parking close by, Reasonable prices. Bookmark the permalink.